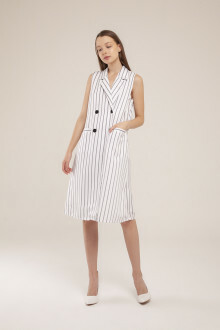 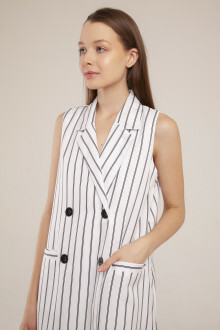 Pinstripe tailored dress with double breasted details. 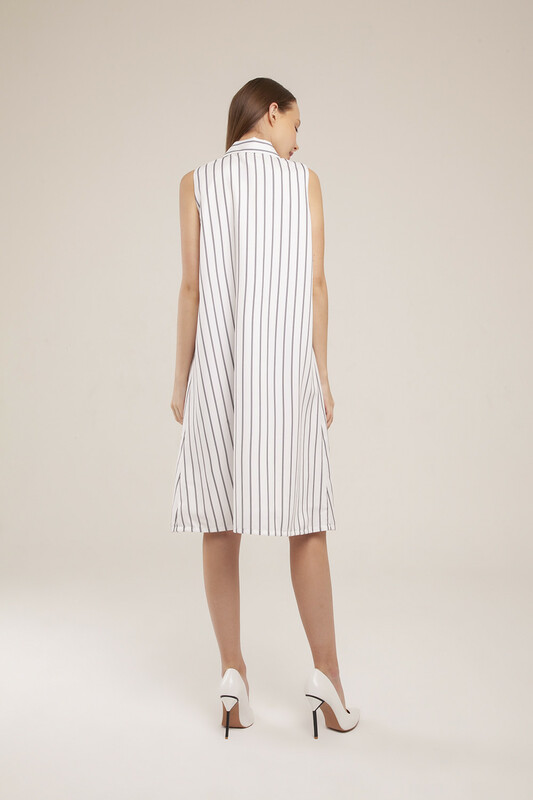 Will also be perfect to be worn as an outer. 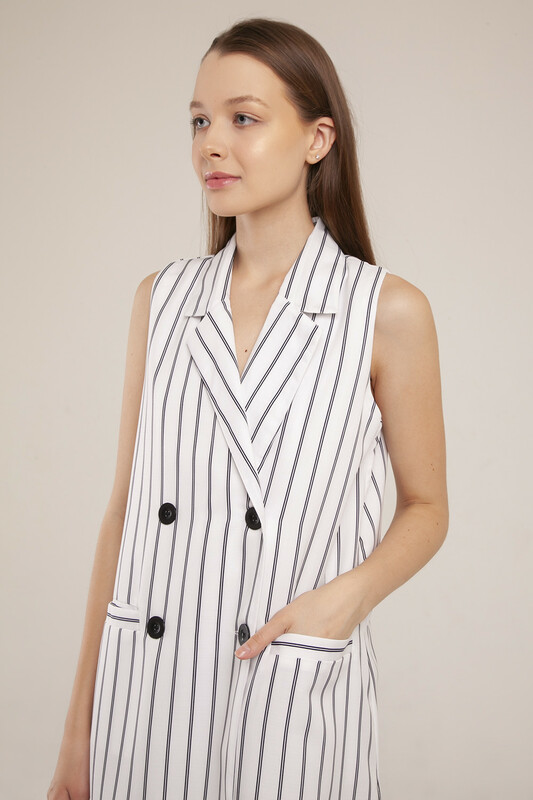 Look sharp and sophisticated to work never been so easy!